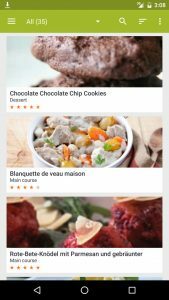 Disconnect from Google : If you have used the Google button to log in into My CookBook Online, you can use this button to unlink your Android app from Google. Disconnect from Dropbox : You can use this button to unlink your app from your dropbox account. 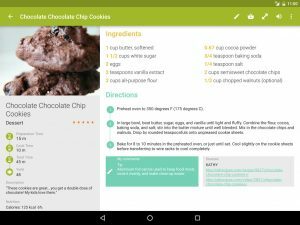 My CookBook Backup Directory : My CookBook backup automatically your recipes in some xml files here. 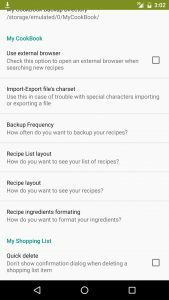 If you want to export to import or export some files, use this directory. You can change the path. 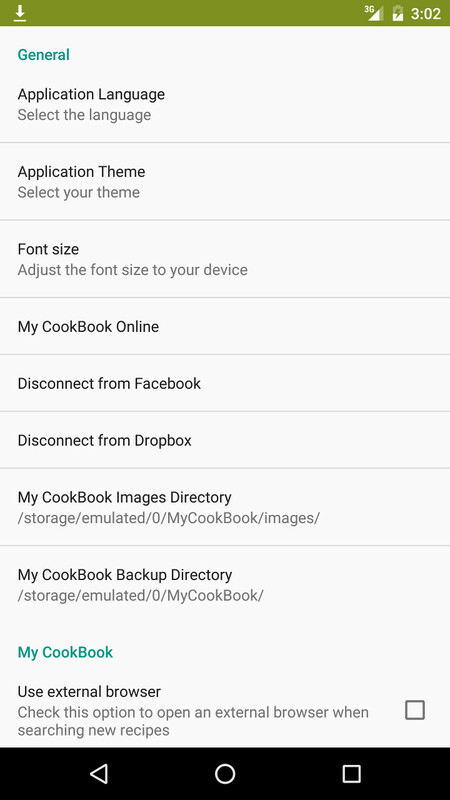 Be careful, since Android 4.4, apps are not allowed to write on any directory on your external sdcard. It is better to choose a directory on your emulated sdcard. 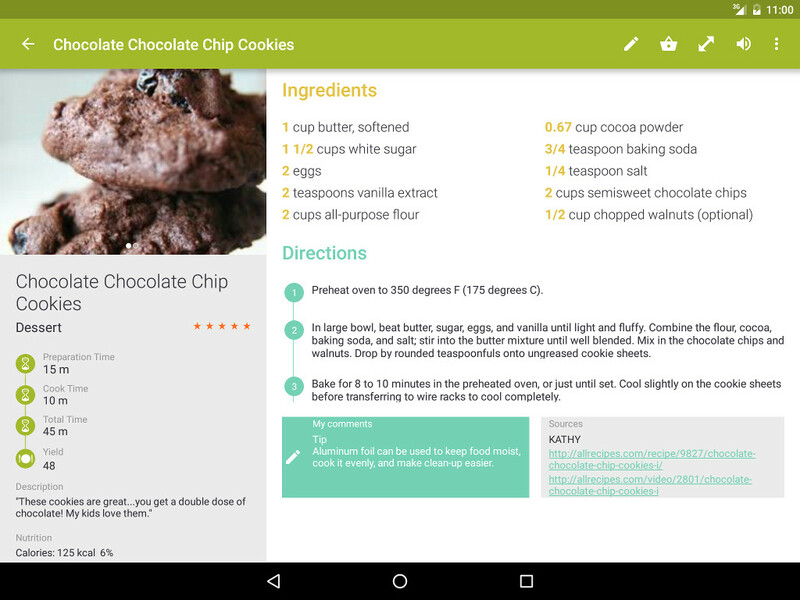 Colors : Change colors into summaries, ingredients or directions of your recipes. 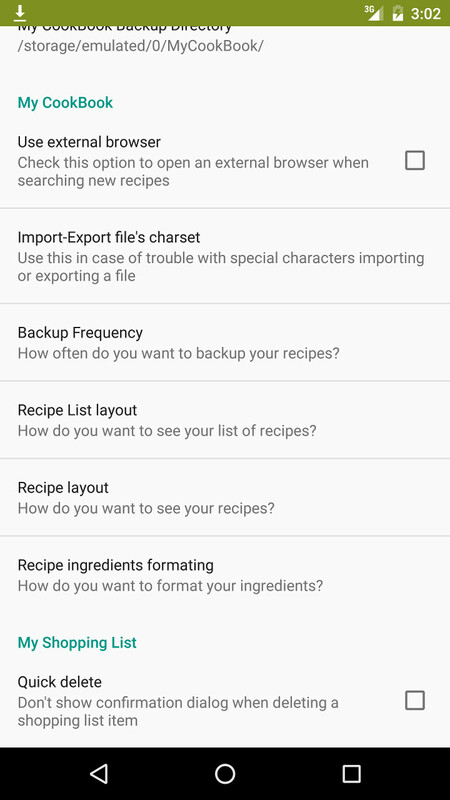 Backup Frequency : Recipes are automatically saved in a xml file every day. Change here the frequency if needed. 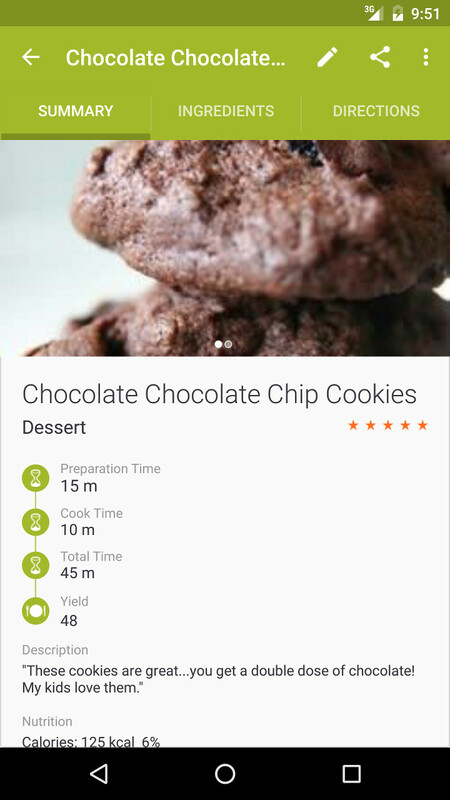 The app no longer shows recipes pictures….why? And how do I fix it? I have the app on my phone only. 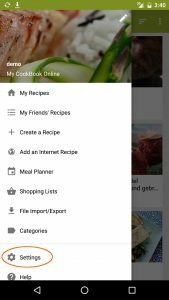 I just got a new phone–how can I get my recipes on the app on my new phone? I don’t want to lose them!! 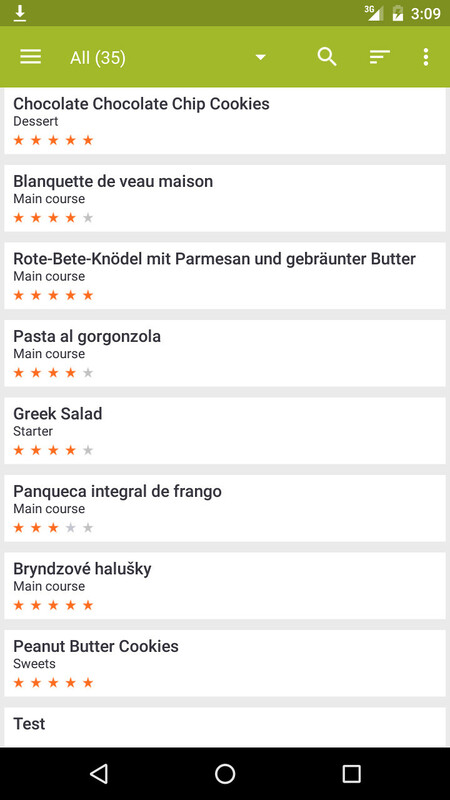 Etwas kompliziert. 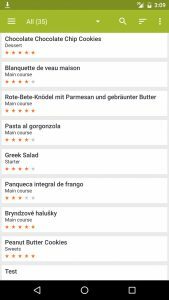 Die Letzte Backup Datei an das neue Handy schicken. Geht per Mail, evtl auch Bluetooth. Dann im neuen runterladen. 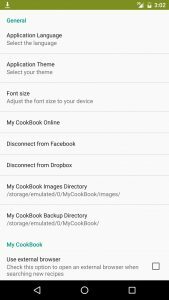 Von der download Seite kopieren und in das neue Backup einfügen Über den Dateimanager. Das mit den Bildern hat aber so noch geklappt. Hab sie extra rüber geschickt und per Hand wieder eingefügt. Hoffe es klappt. I have a issue when I imported my recipe over they all have the same picture and some of them are missing. How do I correct this problem. War bei mir auch so. Habe die Bilder extra per Bluetooth geschickt und sie per Hand wieder eingefügt. 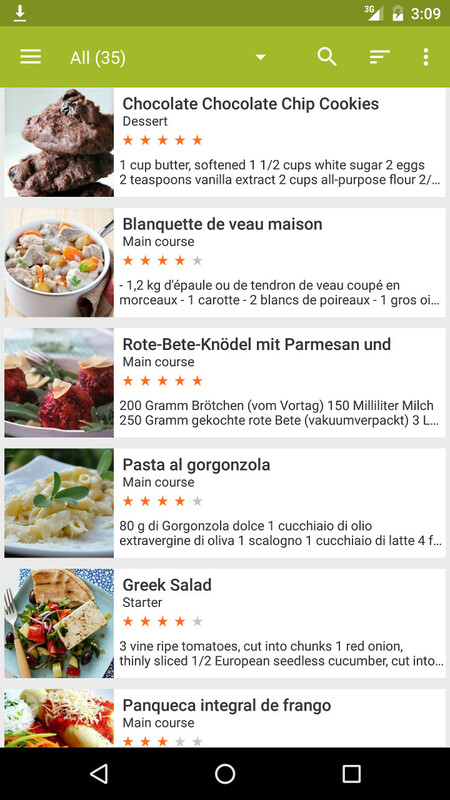 Weiß auch nicht wie es besser geht. 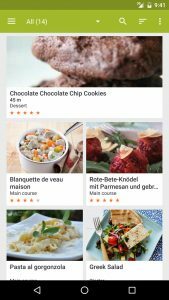 how can i delete my cookbook account permanently? 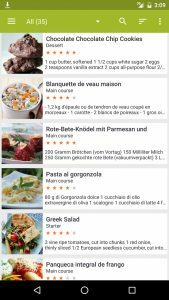 Can we make a search for TAGs in the Android App? Exactly. I see no use for tags. You can’t search them, you can’t display them. What is their point? Why haven’t the developers answered Javier’s question ? 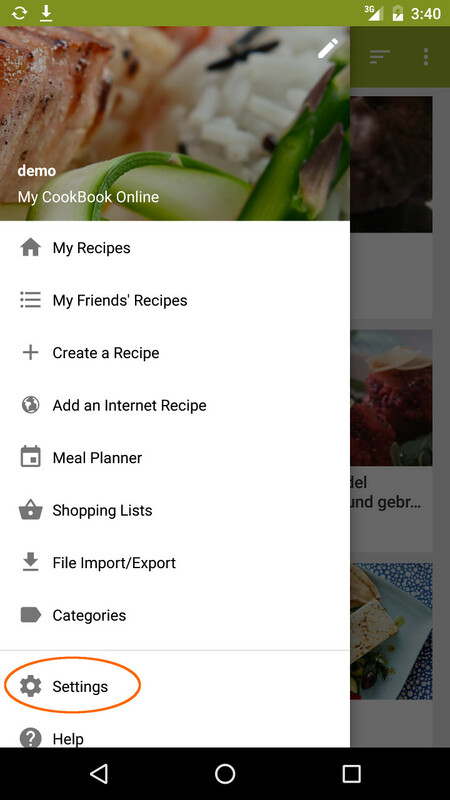 Hi the “add an internet recipe” screen is blank after entering search criteria. This worked fine until yesterday. 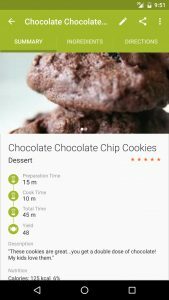 It may be a temporary issue coming from Google… Do you still have this issue ?